Why is there so much AI in Cambridge? Here at Luminous, we like to keep on top of what’s going on in the tech sector – especially anything happening on our home turf. We pay extra close attention to any cutting-edge firms that appear out of the East Anglian tech cluster. Over the last five years, we’ve spotted a trend emerging. Cambridge – East Anglia’s largest city – seems to produce more AI businesses than anywhere else in the UK. Perhaps even more than London. But what is it about Cambridge that makes it the AI capital of the UK? For starters, it doesn’t hurt that the city is home to some of the sharpest minds in the world thanks to the prestigious University of Cambridge and Anglia Ruskin University. Both of these institutions are particularly strong in areas like computing and mathematics – essential for pioneering research in AI. Secondly, a number of the world’s biggest tech firms have relocated their AI research and development teams to Cambridge. Think Google, Apple, Amazon, and Microsoft – more on what they’re up to, later. While all these things certainly contribute to the growth of AI in Cambridge, it’s impossible to say that one caused the other, or even which happened first. It’s probably a bit of a self-fulfilling prophecy: once enough key players picked Cambridge, their competitors couldn’t risk getting left behind. Cambridge’s interest in AI has historic origins. In 1936, Alan Turing invented the Universal Computing Machine at Kings College, Cambridge. This set the principle for modern computers as we know them. He later went on to create a test for defining whether computers can ‘think’ like humans – AKA the Turing Test. As academics in Cambridge continued to develop computing tech, the presence of AI in the city developed too. Students seeking a formal qualification can now study for an MPhil in Machine Learning & Machine Intelligence at the University of Cambridge. AI can revolutionise any sector with its ability to learn and identify patterns: health tech, biology, business, and agriculture have all benefitted from the application of machine learning. To ensure AI isn’t confined to the computer science department, the University of Cambridge has an artificial intelligence group. This supports academics across disciplines who are engaged in AI projects. Just one such project is the LION LBD system. Developed in Cambridge, it uses AI to help cancer scientists keep up to date with published discoveries in their field. In fact, Cambridge even has its own academic institution dedicated to research in AI: the Leverhulme Centre for the Future of Intelligence. Based at the University of Cambridge, the centre partners with a number of other great institutions, including the University of Oxford, Imperial College London, and the University of California, Berkeley. The centre runs research projects on the more nuanced areas of AI, such as security, justice, legality, and ethics. 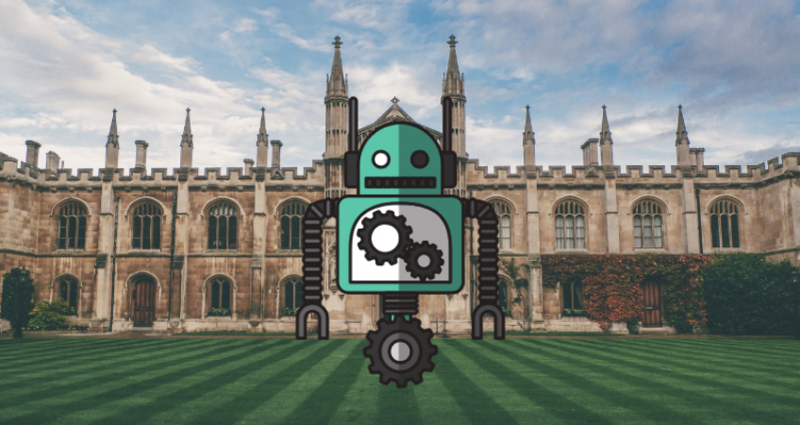 As we mentioned earlier, some of the world’s biggest tech companies have located their artificial intelligence teams in Cambridge – perhaps because they know they can find the specialist talent they need there. In May last year, Samsung announced the opening of a new AI research Centre in Cambridge. The year before, Amazon opened its Cambridge AI centre too. Microsoft and Apple also have R&D facilities in Cambridge, with a focus on AI projects. While it’s great to see global players taking an interest in the East Anglian city, some tech academics worry there’s not enough talent to go round. The high salaries offered by these giants may leave the universities without the specialists they need for their research. An AI academic speaking to the BBC revealed that anyone with previous machine learning academic experience could “name their price”. They also said that they expected to see UK AI salaries spiral quickly. Since talent is regularly cited as one of the largest challenges for East Anglia, we hope that Cambridge’s AI scene can play its part to develop the skills of the region and attract more talent as needed. This exciting startup is working to create self-driving, shared transport systems for some of Europe’s biggest cities. After raising $35 million, the firm announced last year that their first on-street trial of driverless cars would start in London at the end of 2019. Benevolent AI use artificial intelligence to speed up the process of drug development. Founded in London, the firm opened up a facility in Cambridge last year after they acquired a lab at the Babraham Research Campus. Benevolent AI is one of just a handful of tech ‘unicorns’ in the UK (companies valued over £1bn). Darktrace is the world’s leading AI firm for cybersecurity. Darktrace is “based on the human immune system”, and uses AI to detect viruses and threats within a computer network. After a $50m raise at the end of last year, the firm is another UK unicorn: valued at $1.5bn. GeoSpock’s tech simulates the human brain to analyse vast data sets in real-time. Its analysing power allows users to track and predict customer journeys, traffic flows, and other real-world interactions. This insight can help bricks-and-mortar stores compete with online retailers. Everyone uses Arm technology – they manufacture the chips used in smartphones. They also develop AI tech used in smartphones: predictive text, speech recognition, and computational photography. The firm was acquired by Japanese SoftBank for £24bn in 2017. There are over 7,000 rare diseases affecting 350 million people worldwide – and over 95% of them don’t have a treatment. HealX’s HealNet platform uses AI to accelerate the treatment of rare diseases. PROWLER.io is a general purpose AI decision making platform. It can be used in logistics, to reduce traffic flow problems and manage resources. It can also used for financial planning and analysis. Disclaimer: while we’ve done plenty of research, this might not be the full extent of the AI scene in Cambridge. Let us know of any businesses we’ve forgotten, and we’ll gladly add them to the list! We’d like to close with a rather nice quote we found when researching this article. “In my experience, Silicon Valley is 10% tech and 90% hype, but Cambridge is just the opposite”. We’ll certainly be keeping our eyes on the AI capital of the UK. 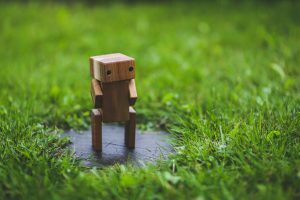 Looking for an AI PR agency? Let’s talk. Get in touch on hello@luminouspr.com or drop us a tweet. 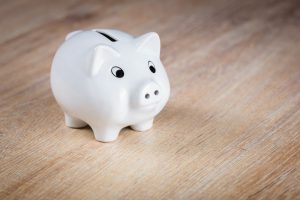 Artificial intelligence and finance go hand in hand. Keep reading to find out more about the role of AI in finance and fintech. AI in the modern world: Does artificial intelligence need regulation? 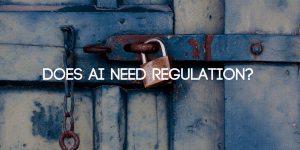 In the final part of our blog series, AI in the modern world, we take a look at AI regulation. Does it need regulation? And by who?